Brent had these little stuffed Burt and Ernie dolls. (They’re hidden away now so the dogs can’t eat them….) Joy was punchy from the heat and started making Burt dance to Chumbawamba. He “fell down…” and got back up again. On the dash-board. Several times. And he was one hell of a dancer. Given the fact Brent and Joy were driving in summer with no A.C. and a packed car…so full Joy’s seat was shoved so far forward even her short legs were smashed…. This was the funniest thing EVER. Ever. I mean, seriously, the funniest thing ever. Imagine – if you will – a 6 inch tall Burt doll falling down and getting back up again and playing the trumpet. And drinking. In time. With the music. Fast forward almost 20 years. Using Spotify and listening to the 90’s station. And Chumbawamba comes on. 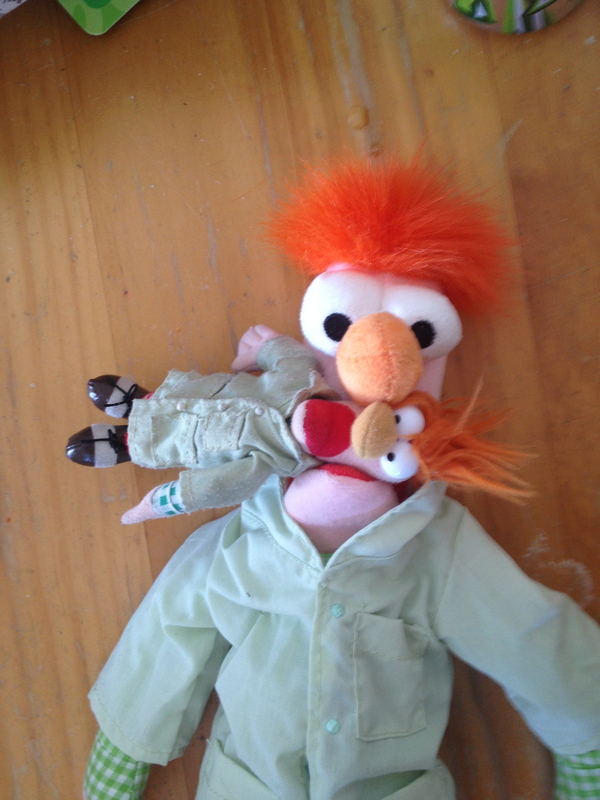 Evil Joy sees Beaker. Miniature Beaker. And Big Beaker. Miniature Beaker has moves. Serious moves. 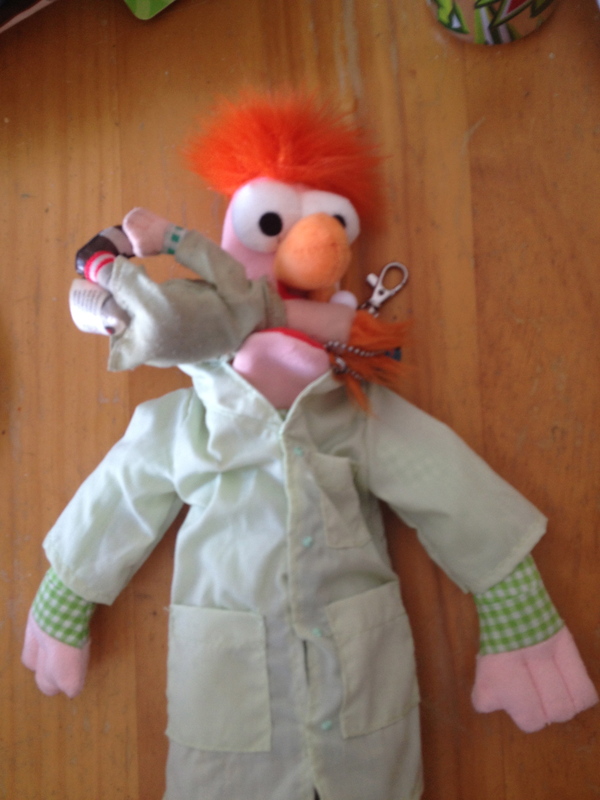 So serious Big Beaker became enraged. And ate Miniature Beaker. Miniature Beaker “fell down”…. never to get up again. EJ out. SkyZone and Snowboarding await…..
Take a minute and click the flashing banner – I’ve really really fallen off in the standings at Top Mommy Blogs. I’d appreciate one click of your time. Thank you!